Miss Quinn undertook a kitchen extension for her home in Newcastle, Co.Down. She didn’t like the woodgrain in her previous kitchen and loved the smooth finish on the Georgia shaker range. She settled on painted porcelain with black granite worktops. 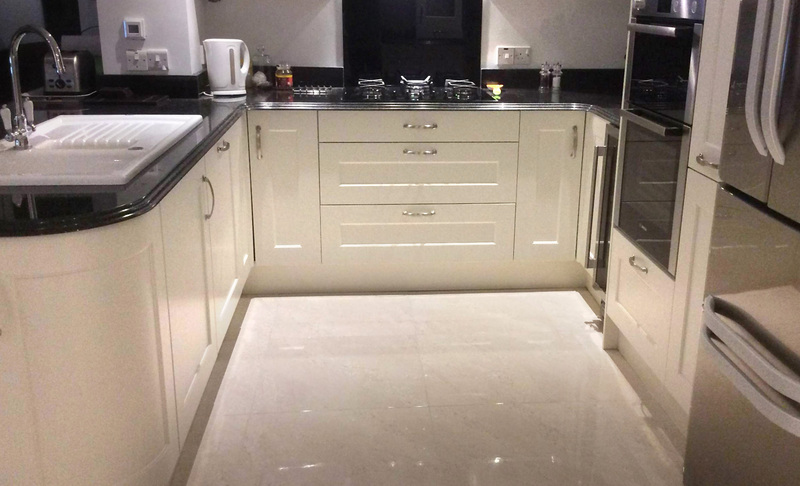 Make Kitchens has been established for over 15 years and prides itself on design, service, quality and price. A large showroom showcases over 30 displays from the Kitchen Stori collection. We’re very pleased with our new kitchen from Make. 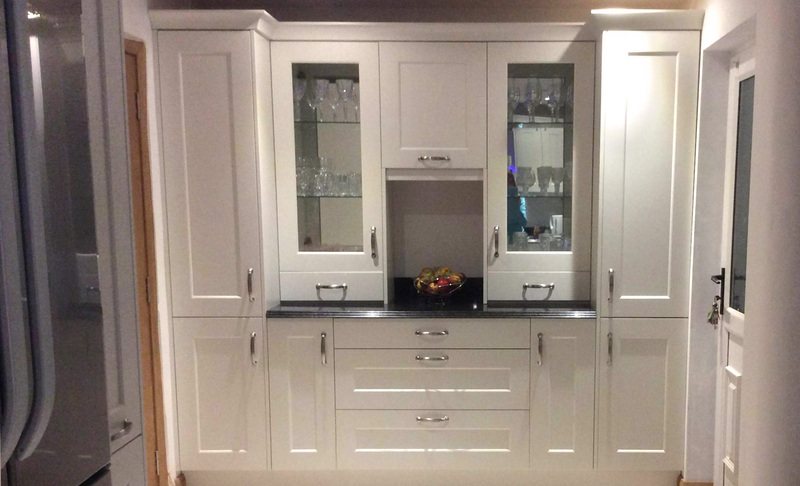 The whole process from design to fitting ran smoothly and we now have a beautiful kitchen at a reasonable price. Thanks to Brendan & his team, nothing was too much trouble!